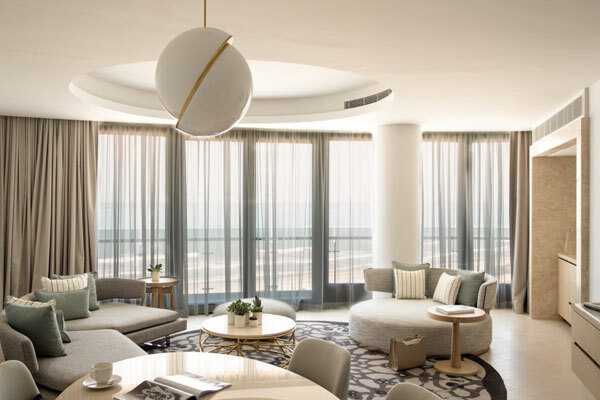 Saadiyat Island is undergoing a remarkable transformation into a world-class leisure, culturally connected and residential destination. The Louvre Abu Dhabi, also located on the island, opened last year to international acclaim and has since received over a million visitors. It will be joined by the Zayed National Museum and the Guggenheim Abu Dhabi, making the island a hub for global culture, arts and entertainment. The resort is only 10 minutes away from Yas Island, famous for hosting the annual Formula 1 Etihad Airways Abu Dhabi Grand Prix, Yas Mall (the second largest mall in the UAE) and a variety of world-class theme parks including Yas Waterworld, Ferrari World and the recently opened Warner Bros. World.